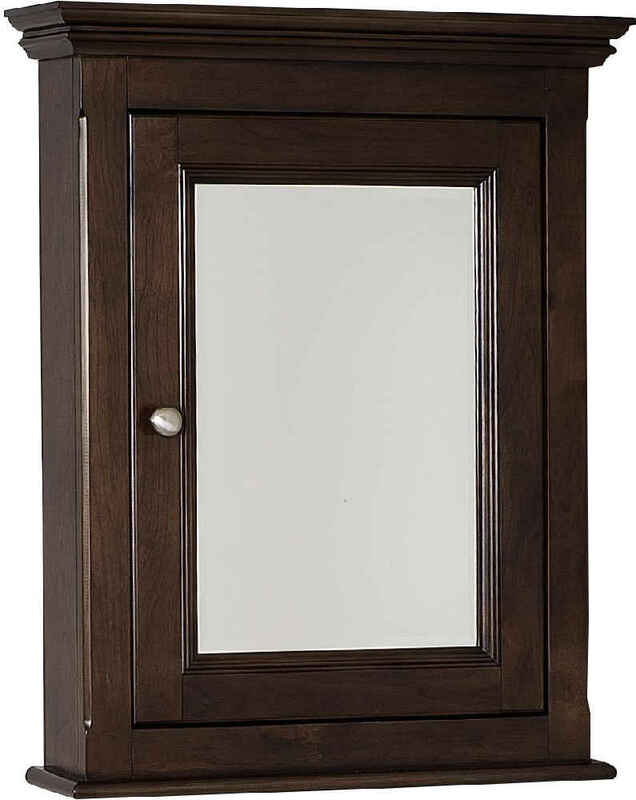 This traditional medicine cabinet belongs to the exquisite Perri design series. It features a rectangle shape. This medicine cabinet is designed to be installed as a wall mount medicine cabinet. It is constructed with birch wood-veneer. 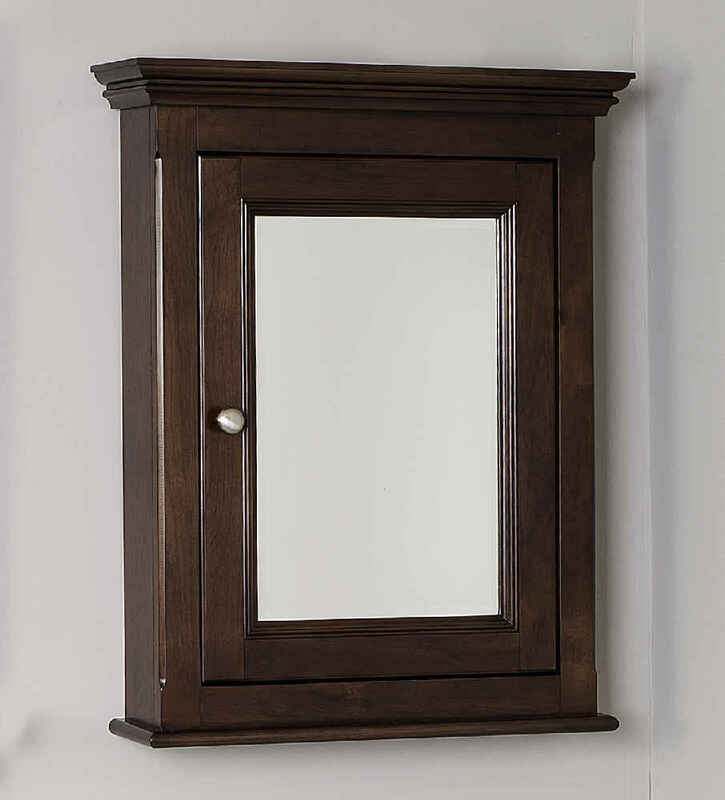 This medicine cabinet comes with a lacquer-stain finish in Walnut color. 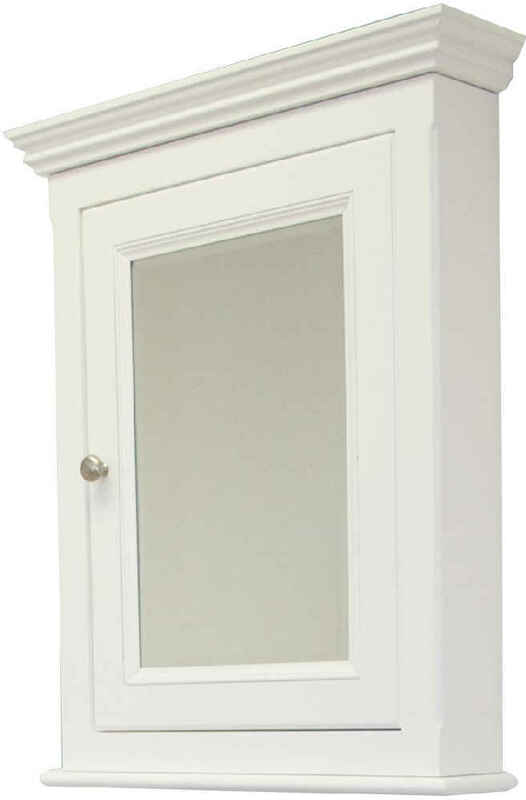 This medicine cabinet belongs to the perri series. 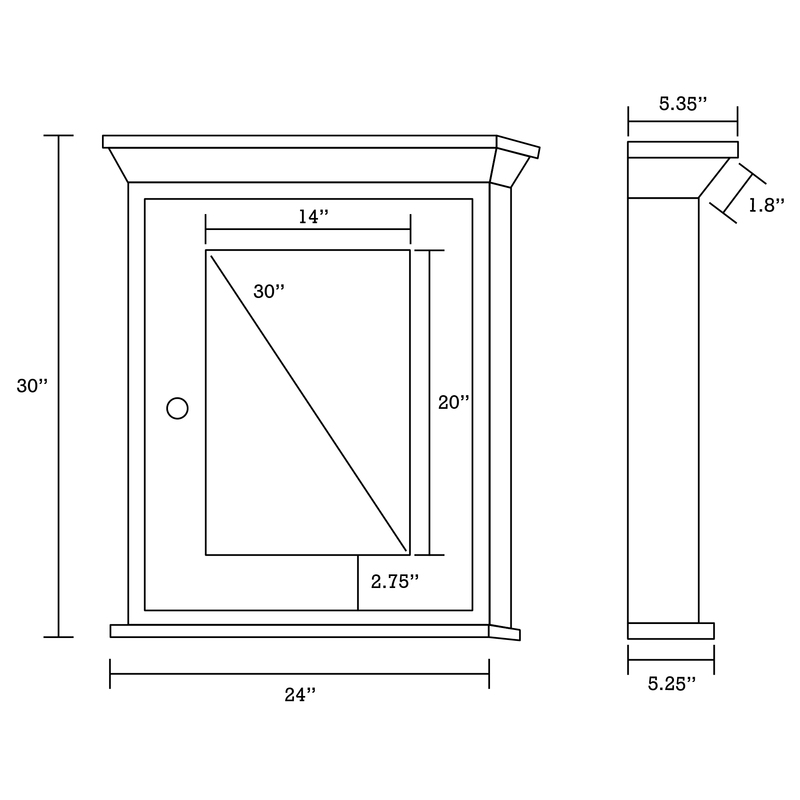 This medicine cabinet features a rectangle shape with a traditional style. This medicine cabinet features 1 door. This medicine cabinet is made with birch wood-veneer. The primary color of this product is walnut and it comes with chrome hardware. Full plywood back with a nylon seal to avoid moisture buildup. Includes pre-installed wall hangers for easy installation. 24-in. Width (left to right). 5.35-in. Depth (back to front). 30-in. Height (top to bottom). 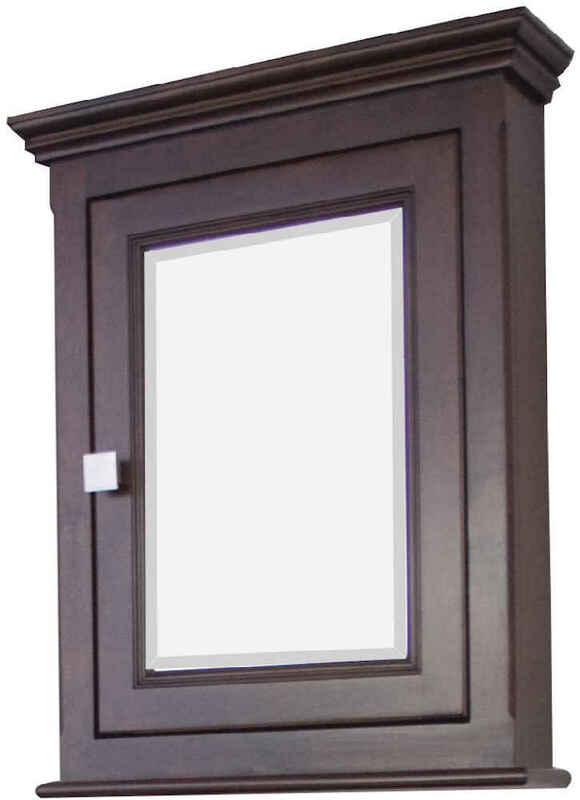 THIS PRODUCT INCLUDE(S): 1x medicine cabinet in walnut color (238).